(A.K.A. Graham Turnbull) Record Producer, Musician, Composer, Publisher, born Sydney, Nova Scotia, Canada, came to the US in 1952. B.A., B.Sc., University of Dubuque (Iowa (1955), postgrad, Texas Tech University, Lubbock, Tex. (1956-57). Member British Empire Games Track Team (1954), All Canadian Track Team (1950-56). 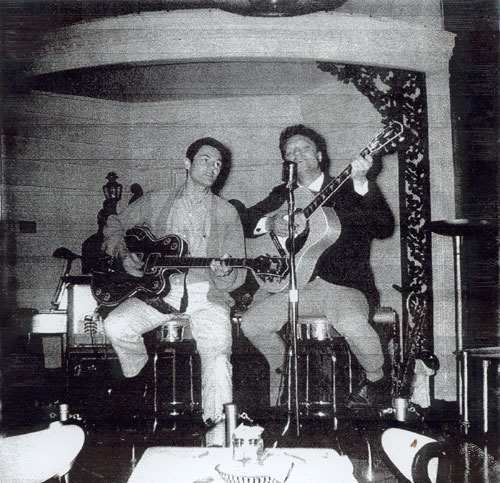 Lead guitarist and writer for Tommy Sands and The Raiders (1957-60), Guy Mitchell (1960-61), Eddie Fisher (1961-63). Joigned A&M Records as writer/producer (1963), then General Manager of Central Songs (Hollywood). Became executive Producer, Country Division of Liberty/Imperial Records (1964), transferred to Nashville in 1968 to take over Country Division of Liberty/Imperial/United Artists. Became independant producer for Slim Whitman, Del Reeves, Jimmy Clanton (1976). Gold Records from the U.K. on four Whitman LP's. 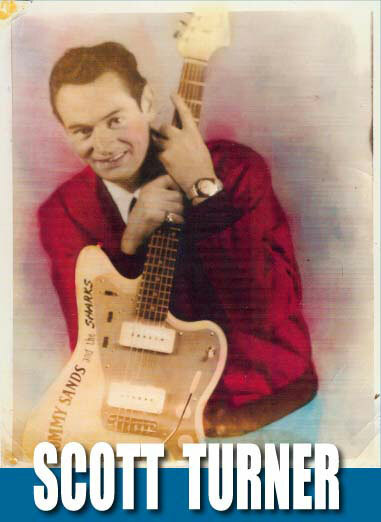 Composer of over 350 recorded songs including co-written efforts with Audie Murphy, Nilsson, Buddy Holly, Herb Alpert, Mac Davis, John Marascalco, Alex Harvey, Red Lane, Tommy Sands, Diane Lampert, Charlie Williams, Doc Pomus, Guy Mitchell and Cliffie Stone. Songs recorded by Roy Clark, Eddy Arnold, Slim Whitman, Jerry Wallace, Nillson, Tennessee Ernie Ford, Herb Alpert, The Baja Marimba Band, Tijuana Brass, Dean Martin, Charley Pride, Tammy Wynette, Porter Wagoner, Jimmy Bryant, Robert Gordon, Sonny Throckmorton, Jimmy Dean, Larry Butler, The Del-Vikings, Dave Dudley, Wanda Jackson, Wynn Stewart, Bonnie Guitar, Jean Sheperd, Skeets McDonald, Penny DeHaven, Gene Vincent and Del Reeves. Songs include "Shutters And Boards", "When The Wind Blows In Chicago", "Please Mr. Music Man", "Coming In The Back Door", "Does He Love You Like I Do", "Blue Ribbon Baby", "The Worryin' Kind", "Trucker's Prayer", "If You Want My Lovin'", "Hicktown", "A Travelling Man", "Mexican Drummer Man", "The Moonracers", "That's A Lie", "The Little Children Of Peru", "She Didn't Color Daddy", "The Catman" and "She's My Baby". Record productions on Willie Nelson, Slim Whitman, Jerry Wallace, Jimmy Bryant, Waylon Jennings, Penny DeHaven, Ray Sanders, Johnny Carver, Nillson, Larry Butler, Don Malena, Bobby Lewis, Bill Phillips, Bobby Bare, Mel Tillis, Glen Garrison. T.V. 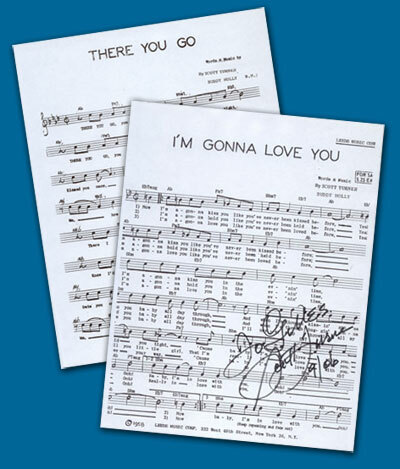 Credits include Music Director for "Christmas On The General Jackson" (Mel Tillis, Kathy Mattea, Lynn Anderson, Butch Baker, Donna Fargo), "Roger Miller Show" (Tanya Tucker, Lyle Lovett) and appareances on "The Perry Como Show", "The Milton Berle Show", "Mike Douglas", "A.M. Chicago", "Entertainment Tonight" and "A Current Affair". Film credits include many background tracks and three songs in the fim "Shout" (The Johnny O'Keefe Story). Current productions include Roy Clark, Don Malena album projects. Songs recorded from the publishing firms include Chet Atkins' "I Still Can't Say Goodbye", Billy Joe Royal "The Hard Times", Roy Clark "Appalachian Blue", "We Are All Americans" and "The President's Waltz" (co-written with Audie Murphy... for Space For Media). Firms owned by Turner are Buried Treasure Music A.S.C.A.P., Captain Kidd Music B.MI., Aberdeen Productions and Scott Turner Productions. Memorabilia now housed at the Willie Nelson Museum Music Village, Hendersonville, Tenn.
From "Who's Who In The South And Southwest"
Scott Turner co-wrote some songs with Buddy Holly in Lubbock in 1956 and New-York in 1958. "I'm Gonna Love You", "There You Go", "Lonely Little Lover Lost", "Am I Ever Gonna Find It", "September Hearts" and "My Baby's Coming Home". It seems that "Am I Ever Gonna Find It" and, maybe, "September Hearts" were recorded by an Australian singer. 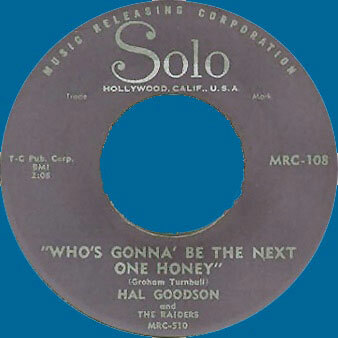 Hal Goodson and The Raiders of the "Who's Gonna' Be The Next One Honey" (written by Scott Turner under his pseudo Graham Turnbull) fame on Solo Records, 1957. Story into the story : In April 1957, Margaret Lewis and her band, took a second place in a Johnny Horton Talent Show in Plainview, Texas, sponsored by KDVA radio (Lubbock) and that lead her to a Louisiana Hayride guest appearance. That contest was won by nobody other than Hal Goodson and the Raiders. Earlier, they used as stage name The Plainsmen. 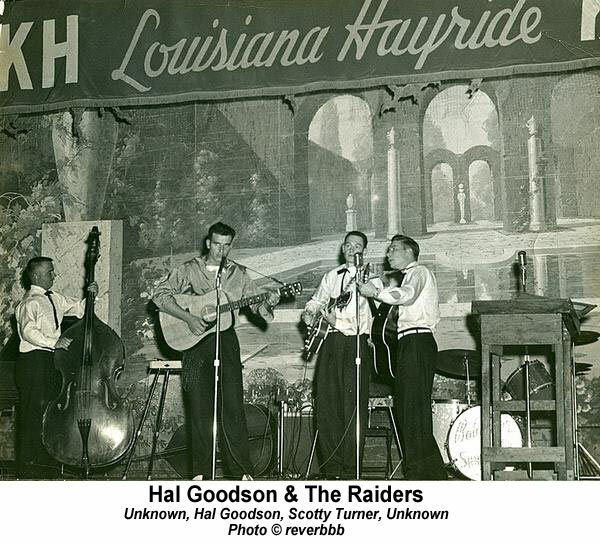 After the Louisiana Hayride performance, Hal and the band were signed with Solo Company, Hollywood, California. 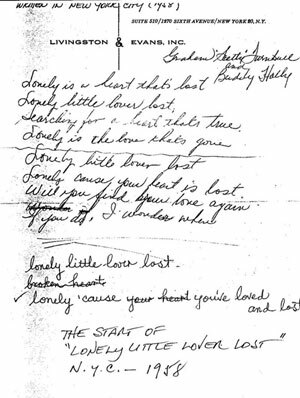 "Who's Gonna Be The Next One Honey" b/w "Later Baby", both written by legendary Graham Turnbull aka Scotty Turner (member of the Raiders) were issued by May 1957 on Solo MRC-108. 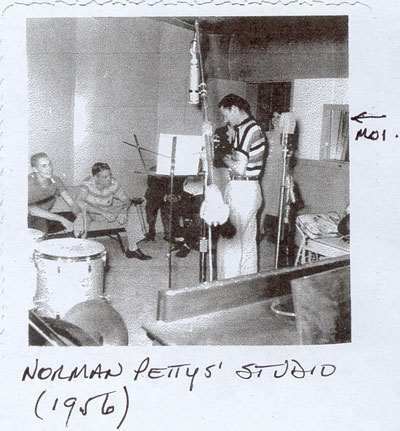 The session was set at Norman Petty's studio on May 3, 1957. Tillman said, later, that he and Johnny agreed that Margaret and her band should have been equal winner so they decided to give her the same prize that Hal Goodson got and that was to appear on the Hayride. 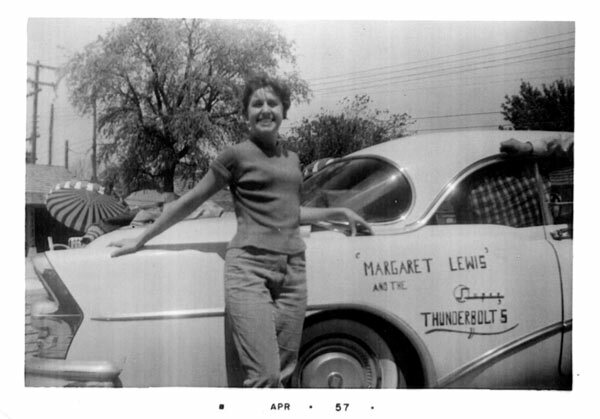 Margaret Lewis on her way from Texas to Shreveport for her first Louisiana Hayride appearance on April 20, 1957. 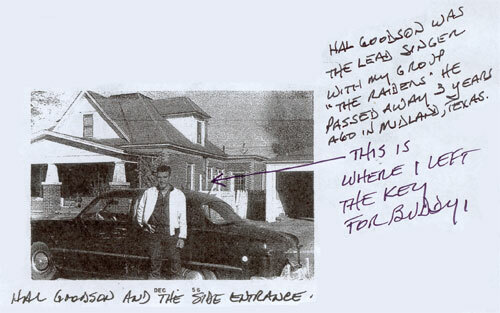 Hal Goodson played the same date with Scotty Turner and maybe Don Davis on bass. 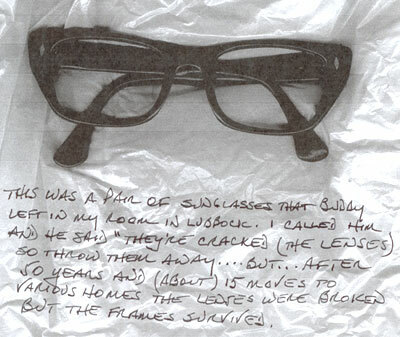 Never published shot given by her sideman Bob Davis (piano). The other Thunderbolts were not allowed for the Lousiana Hayride performance.